Of course no parent wants to see his or her child get hurt on a playground. Playgrounds are supposed to provide places for fun, healthy activity. It's a great way to get your kids away from all those tempting electronic screens. 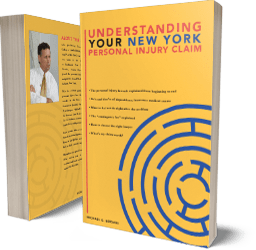 As Syracuse playground accident lawyers, we have learned a lot about what causes playground injuries, and how to hold those responsible for them liable. But as a side benefit, we have also learned how to prevent those injuries from occurring. If you follow some of our advice below, you won't eliminate the risk of your child suffering a playground injury, but you will go a long way to minimizing the risk. First, let's talk about the equipment itself. Although the design, construction and maintenance of the playground equipment are the responsibility of the manufacturer and the municipality or school that owns it, everyone can help improve playground safety by being vigilant. We recommend that before your child uses any playground equipment, you do a critical "tour" of the equipment. Check everywhere for potential hazards and for parts that are rusty or disintegrating. Keep an eye out for areas where your child might get "stuck" or entrapped. Read any of the signage regarding which equipment is appropriate for the age and size of your child. Make sure the landing surface is soft and resilient. Next, check your child. Make sure he or she is wearing clothing with no loose strings or ties that can become caught on equipment. Make sure his or her shoes are tied. Make sure you instruct him or her on the proper use of the equipment. Give him or her the "do's and don'ts"
Lastly, stay and watch your child. SUPERVISE. And do so properly. Don't get so immersed in conversations with other adults that you are not observing what your child is doing or how he or she is doing. And watch those other kids, too! Are they running or playing rough games that could inadvertently injure your child? Speak up! If your child uses a school or daycare playground at recess, show up to observe a few recess periods. Introduce yourself to the supervisors. Watch how they supervise. Yes, you are now supervising the supervisors, but that's ok! Before you make your visit, go to playgroundsafety.org and learn about proper playground supervision standards published by the National Program for Playground Safety. Make sure the supervisors are following the "S.A.F.E." standards of this National Program. If they are not, talk to them or the director of the school or daycare. 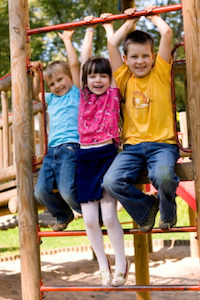 Make sure they are aware of the S.A.F.E playground supervision training programs. Insist that the supervisors take the course and use those standards for supervision. If they won't, consider taking your child out of that school or daycare center. There are plenty of others that do provide proper training for their supervisors. As playground accident lawyers serving Syracuse area injured children, we are more attuned than most to what causes most playground injuries. But we shouldn't be the only ones with this knowledge. As a parent one of your jobs is to educate yourself about the potential hazards threatening your child BEFORE accidents can happen to them. So consider taking the advice set forth above. And if your child is unfortunate enough to get injured on playground equipment, don't hesitate to call our Syracuse playground accident attorneys for a free consultation.